To believe Palestinian spokesmen, the five-year war was caused by the desecration of a Muslim holy place – Haram al-Sharif (the Temple Mount) – by Likud leader Ariel Sharon and the “thousands of Israeli soldiers” who accompanied him. The violence was carried out through unprovoked attacks by Israeli forces, which invaded Palestinian-controlled territories and “massacred” defenseless Palestinian civilians, who merely threw stones in self-defense. The only way to stop the violence, then, was for Israel to cease fire and remove its troops from the Palestinian areas. The violence started before Sharon’s September 28, 2000, visit to the Temple Mount. 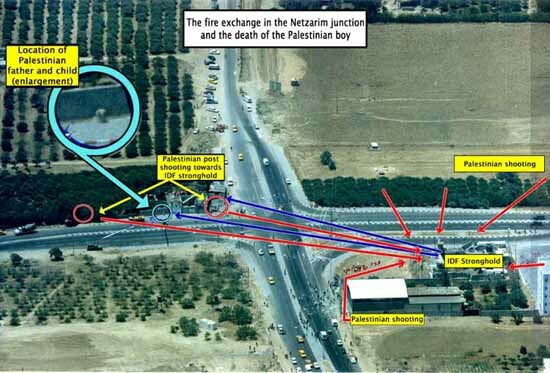 The day before, for example, an Israeli soldier was killed at the Netzarim Junction. The next day, in the West Bank city of Kalkilya, a Palestinian police officer working with Israeli police on a joint patrol opened fire and killed his Israeli counterpart. Official Palestinian Authority media exhorted the Palestinians to violence. On September 29, the Voice of Palestine, the PA’s official radio station sent out calls “to all Palestinians to come and defend the al-Aqsa mosque.” The PA closed its schools and bused Palestinian students to the Temple Mount to participate in the organized riots. Internal Security Minister Shlomo Ben-Ami permitted Sharon to go to the Temple Mount – Judaism’s holiest place – only after calling Palestinian security chief Jabril Rajoub and receiving his assurance that if Sharon did not enter the mosques, no problems would arise. The need to protect Sharon arose when Rajoub later said that the Palestinian police would do nothing to prevent violence during the visit. Sharon did not attempt to enter any mosques and his 34 minute visit to the Temple Mount was conducted during normal hours when the area is open to tourists. Palestinian youths — eventually numbering around 1,500 — shouted slogans in an attempt to inflame the situation. Some 1,500 Israeli police were present at the scene to forestall violence. There were limited disturbances during Sharon’s visit, mostly involving stone throwing. During the remainder of the day, outbreaks of stone throwing continued on the Temple Mount and in the vicinity, leaving 28 Israeli policemen injured. There are no accounts of Palestinian injuries on that day. Significant and orchestrated violence was initiated by Palestinians the next day following Friday prayers. The real desecration of holy places was perpetrated by Palestinians, not Israelis. In October 2000, Palestinian mobs destroyed a Jewish shrine in Nablus – Joseph’s Tomb – tearing up and burning Jewish prayer books. They stoned worshipers at the Western Wall, attacked Rachel’s Tomb in Bethlehem with firebombs and automatic weapons, and destroyed synagogues left in the Gaza Strip after Israel evacuated the area in August 2005. None of the violent attacks following Sharon’s visit were initiated by Israeli security forces, which in all cases responded to Palestinian violence that went well beyond stone throwing. It included massive attacks with automatic weapons and the lynching of Israeli soldiers. Most armed attackers were members of the Tanzim – Arafat’s own militia. During the Palestinian War, the number of Palestinian casualties has been higher than the figure for Israelis; however, the gap narrowed as Palestinian suicide bombers used increasingly powerful bombs to kill larger numbers of Israelis in their terror attacks. When the war unofficially concluded at the end of September 2005, more than 2,100 Palestinians and 1,061 Israelis had been killed. The disproportionate number of Palestinian casualties was primarily a result of the number of Palestinians involved in violence and was the inevitable result of an irregular, ill-trained group of terrorists attacking a well-trained regular army. The unfortunate death of noncombatants was largely due to the habit of Palestinian terrorists using civilians as shields. By contrast, the number of women and older people among the noncombatant Israeli casualties illustrates the randomness of Palestinian attacks, and the degree to which terrorists have killed Israelis for the “crime” of being Israeli.3 Israeli troops do not target innocent Palestinians, but Palestinian terrorists do target Israeli civilians. The basis of the peace process is that disputes should be resolved through negotiations. One of the conditions Israel set before agreeing to negotiate with the PLO was that the organization renounce terrorism. It formally did so in 1993; however, the PLO and other Palestinian groups and individuals have consistently resorted to violence since the agreements. Whether or not Israel made concessions, Palestinians have still committed heinous attacks. In some instances atrocities are perpetrated because of alleged mistreatment; in other cases, they are deliberate efforts to sabotage negotiations. Even after Israel completely withdrew from the Gaza Strip, attacks continued. The Palestinian Authority, which has a nearly 40,000-person police force (larger than allowed under the peace agreements), and multiple intelligence agencies, must be held responsible for keeping the peace. Hamas was legally registered in Israel in 1978 as an Islamic Association by Sheikh Ahmad Yassin. Initially, the organization engaged primarily in social welfare activities and soon developed a reputation for improving the lives of Palestinians, particularly the refugees in the Gaza Strip. Hamas certainly didn’t believe it was being supported by Israel. As early as February 1988, the group put out a primer on how its members should behave if confronted by the Shin Bet. Several more instructional documents were distributed by Hamas to teach followers how to confront the Israelis and maintain secrecy. Israel’s assistance was more passive than active, that is, it did not interfere with Hamas activities or prevent funds from flowing into the organization from abroad. Israel also may have provided some funding to allow its security forces to infiltrate the organization.6 Meanwhile, Jordan was actively helping Hamas, with the aim of undermining the PLO and strengthening Jordanian influence in the territories. The PA is also filled with illegal weapons, including machine guns, hand grenades, rockets, explosives and mortars. Despite repeated promises, no effort has been made to collect the weapons. On the contrary, the PA has been actively stockpiling them and President Abbas has explicitly said he has no intention of disarming the terrorists.9 This is a serious violation of the agreements signed with Israel, one that provokes mistrust and threatens Israeli security. Most Palestinians who adopt terror in the hope of either “ending the occupation” or destroying Israel do so because they freely choose murder over any other option. Palestinian terrorists also use children, however, to do their dirty work. These were just the latest examples of the cynical use of children by Palestinians waging war on Israel. Young Palestinians are routinely indoctrinated and coerced into the cult of martyrdom. Whenever the use of children in terror operations provokes an outcry, the terrorist groups either claim ignorance or promise never to do it again. Meanwhile, the Palestinian Authority does nothing to stop the recruitment of children or to dismantle the organizations responsible for drafting them in their terror war. It may be that some Palestinian women share the ideology of the terrorists who believe that blowing up innocent men, women, and children will achieve their political objective, but many others are being blackmailed into carrying out suicide attacks by sadistic and manipulative Palestinian men. More than 20 Palestinian women have engaged in suicide attacks and the terrorist organizations that recruit them do so in part because they believe women will generate less suspicion, and that Israeli soldiers will be more reticent to search them. Some of the women have been convinced to engage in terrorist attacks to rehabilitate their reputations in their community if they have acquired a bad name or done something to bring shame upon their family. Shame is a powerful force in Arab society, and women who are promiscuous, engage in adultery, become pregnant out of wedlock, or behave in other ways deemed improper may be ostracized or severely punished (e.g., husbands may kill wives who shamed them in so-called “honor crimes”). These examples show the merciless way Palestinian terrorists treat not only their victims, but their own people. One of the principal deterrents to speaking out against Palestinian irredentism and terror in the Palestinian Authority is the threat of being murdered. By the end of the first intifada in the early 1990s, more Palestinians were killed by their fellow Palestinians than died in clashes with Israeli security forces. During the Palestinian War, intimidation and murder have again been used to muzzle dissent. Usually those seeking peace or an end to terror are labeled “collaborators” and, if they are lucky, arrested by the Palestinian Authority. The unlucky ones are murdered, often in grisly and public ways, such as stringing them up from lamp posts in public squares to send the message that a similar fate awaits anyone who dares cross those seeking Israel’s destruction. Meanwhile, the Palestinians escalated their violent attacks against Israelis by using mortars and anti-tank missiles illegally smuggled into the Gaza Strip. The Palestinian Authority has also been stockpiling weapons smuggled into Gaza by sea and underground tunnels linked to Egypt. Perhaps the most vivid image of the Palestinian War was the film of a Palestinian father trying unsuccessfully to shield his son from gunfire. Israel was universally blamed for the death of 12-year-old Mohammed Aldura, but subsequent investigations found that the boy was most likely killed by Palestinian bullets. 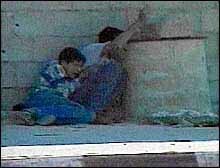 The father and son took cover adjacent to a Palestinian shooting position at the Netzarim junction in the Gaza Strip. After Palestinian policemen fired from this location and around it toward an IDF position opposite, IDF soldiers returned fire toward the sources of the shooting. During the exchanges of fire, the Palestinian child was hit and killed. Contrary to the conventional belief that the footage of the incident was live, it was actually edited before it was broadcast around the world. Though a number of cameramen were in the area, only one, a Palestinian working for France 2, recorded the shooting. Raw footage of the day shows a far more complex picture of what was taking place and raised questions about the universal assumption that Israel had killed the boy. Despite the growing body of evidence that the report was inaccurate, France 2 refuses to retract the story. How do you determine the proportionate use of military force? When Palestinian terrorists plant bombs at Israeli shopping malls and kill and maim dozens of civilians, would the proportionate response be for Israelis to plant bombs in Palestinian malls? No one in Israel believes this would be a legitimate use of force. Thus, Israel is left with the need to take measured action against specific targets in an effort to either deter Palestinian violence or stop it. Israel’s deployment of the fighters came after 88 Israelis had already lost their lives, including 55 civilians. The civilians were not killed accidentally, they were deliberately targeted. In the previous two-and-a-half months, Palestinians had attempted to place 28 bombs inside Israel. The F-16 attack came in direct response to one that exploded at a Netanya shopping mall May 18, 2001, killing five Israelis. General Powell insisted on deploying overwhelming force before going to war against Iraq in the Gulf War. The Allied force of more than half a million troops demolished Saddam Hussein’s army at a cost of fewer than 200 American lives while approximately 35,000 Iraqis were killed, including many civilians. The United States has not hesitated to use overwhelming force against its adversaries, even though the threats have been distant and in no way posed a danger to the existence of the nation or the immediate security of its citizens. While U.S. military objectives were accomplished, they also were routinely accompanied by errors and collateral damage that resulted in the loss of civilian lives. Israel is in a different position. The threat it faces is immediate in time and physical proximity, and poses a direct danger to Israeli citizens. Still, Israel has not used its full might as the Powell Doctrine dictates. The use of force has been judicious and precise. In those instances where mistakes occur — as inevitably happens in war — the incidents are investigated. Israel is faced with a nearly impossible situation in attempting to protect its civilian population from Palestinians who are prepared to blow themselves up to murder innocent Jews. One strategy for dealing with the problem has been to pursue negotiations to resolve all of the conflicts with the Palestinians and offer to trade land for peace. After Israel gave back much of the West Bank and Gaza Strip, and offered virtually all of the remainder, however, the Palestinians chose to use violence to try to force Israel to capitulate to all their demands. In April 1986, after the U.S. determined that Libya had directed the terrorist bombing of a West Berlin discotheque that killed one American and injured 200 others, it launched a raid on a series of Libyan targets, including President Muammar Qaddafi’s home. Qaddafi escaped, but his infant daughter was killed and two of his other children were wounded. In addition, a missile went off track and caused fatalities in a civilian neighborhood. President Reagan justified the action as self-defense against Libya’s state-sponsored terrorism. “As a matter of self-defense, any nation victimized by terrorism has an inherent right to respond with force to deter new acts of terror. I felt we must show Qaddafi that there was a price he would have to pay for that kind of behavior and that we wouldn’t let him get away with it.” 43 More recently, George W. Bush ordered “hits” on the Iraqi political leadership during the 2003 war in Iraq. Targeting the terrorists has a number of benefits. First, it places a price on terror: Israelis can’t be attacked with impunity anymore, for terrorists know that if they target others, they will become targets themselves. Second, it is a method of self-defense: pre-emptive strikes eliminate the people who would otherwise murder Israelis. While it is true that there are others to take their place, they can do so only with the knowledge they too will become targets, and leaders are not easily replaceable. Third, it throws the terrorists off balance. Extremists can no longer nonchalantly plan an operation; rather, they must stay on the move, look over their shoulders at all times, and work much harder to carry out their goals. The most common criticism of “targeted killings” is that they do no good because they perpetuate a cycle of violence whereby the terrorists seek revenge. This is probably the least compelling argument against the policy, because the people who blow themselves up to become martyrs could always find a justification for their actions. They are determined to bomb the Jews out of the Middle East and will not stop until their goal is achieved. It is always a tragedy when innocent civilians are killed in a counterterrorism operation. Civilians would not be at risk, however, if the Palestinian Authority arrested the terrorists, the murderers did not choose to hide among noncombatants and the civilians refused to protect the killers. Israel is not alone in using military force against terrorists or in sometimes inadvertently harming people who are not targets. For example, on the same day that American officials were condemning Israel because a number of civilians died when Israel assassinated a leader of Hamas, news reports disclosed that the United States bombed a village in Afghanistan in an operation directed at a Taliban leader that instead killed 48 Afghan civilians at a wedding party. In both cases, flawed intelligence played a role in the tragic mistakes. The Palestinian Authority’s own documents call Jenin the “suiciders capital.” The camp has a long history as a base for extremists, and no less than 28 suicide attacks were launched from this terror nest during the wave of violence that preceded Israel’s action. These terrorists violated the cease-fire agreed to by Israel and undermined Israeli efforts to resume political negotiations toward a peace agreement. Palestinian snipers targeted soldiers from a girls’ school, a mosque, and a UNRWA building and, in returning fire and pursuing terrorists, some noncombatants were hit. Any civilian casualty is a tragedy, but some were unavoidable because Palestinian terrorists used civilians as shields. The majority of casualties were gunmen. Palestinians have learned from fabricating atrocity stories in the past that a false claim against Israel will get immediate media attention and attract sympathy for their cause. The corrections that inevitably follow these specious charges are rarely seen, read, or noticed. American Rachel Corrie was killed in the Gaza Strip on March 16, 2003, when she entered an area where Israeli forces were carrying out a military operation. The incident occurred while IDF forces were removing shrubbery along the security road near the border between Israel and Egypt at Rafah to uncover explosive devices, and destroying tunnels used by Palestinian terrorists to illegally smuggle weapons from Egypt to Gaza. Corrie was not demonstrating for peace or trying to shield innocent civilians, she was interfering with a military operation to legally demolish an empty house used to conceal one of these tunnels. The State Department warned Americans not to travel to Gaza, and Israel made clear that civilians who enter areas where troops are engaged in counter-terror operations put themselves unnecessarily at risk. The death of an innocent civilian is always tragic, and the best way to avoid such tragedies in the future is, first and foremost, by Hamas putting an end to terror, and stopping the smuggling operations that have brought huge quantities of illegal weapons into the Gaza Strip. Activists interested in peace should be protesting the Palestinian actions. Activists also have every right to express their views about Israel’s policies, but they should take care to avoid the appearance of siding with the terrorists or placing themselves in positions where they could be inadvertently caught in the crossfire of a counter-terror operation or otherwise endangered by entering an area where military operations are being conducted. Farouk Kaddoumi claimed that Israel poisoned Yasser Arafat because it wants Palestinian leaders who obey it and agree with its policies.61 This was just the most recent of a number of such allegations that have persisted since Arafat’s death. We don’t know for sure what killed Arafat, but even then Foreign Minister Nabil Shaath ruled out poisoning.62 At the time of his death, the French government, constrained by privacy laws, discounted the possibility of foul play when it announced, “If the doctors had had the slightest doubt, they would have referred it to the police.”63 Moreover, members of Arafat’s family, including ones who have made the poisoning charge, have had access to the records and produced nothing to substantiate the rumors. Arafat’s wife, Suha, could have released the findings of French physicians, and you can be sure she would have done so if they would have implicated Israel in her husband’s death. *The war was never formally declared, but began in September 2000 with a surge of Palestinian terrorist attacks in Israel. The war also had no formal ending resulting in a cease-fire or peace agreement. The Israeli Defense Forces succeeded in suppressing the violence to the point where the war had petered out by the end of September 2005. 1Jerusalem Post, (March 4, 2001). 2Conclusion of the Mitchell Report, (May 4, 2001). 3“An Engineered Tragedy: Statistical Analysis of Casualties in the Palestinian-Israeli Conflict, September 2000-June 2002,” International Policy Institute for Counter-Terrorism, (June 2002). 4Quoted in Sharm El-Sheikh Fact-Finding Committee First Statement of the Government of Israel, Israeli Foreign Ministry, (December 28, 2000). 5“Egypt/Israel: Attacks on Civilians Are Unjustifiable Crimes,” Human Rights Watch. 6Richard Sale, “Hamas history tied to Israel,” UPI, (June 18, 2002). 7Ze’ev Schiff and Ehud Ya’’ari, Intifada: The Palestinian Uprising-- Israel’s Third Front. NY: Simon and Schuster, 1990), pp. 227-239. 8Jerusalem Report, (May 21, 2001). 9Jerusalem Post, (September 22, 2005). 10Associated Press; Jerusalem Post; New York Post, (March 16, 2004); CNN.com (March 25, 2004). 11Jerusalem Post, (May 25, July 5, August, 29, 2005). 12Amnesty International, Press Release, (March 24, 2004). 13Itamar Marcus, “Ask for Death,” The Review, (March 2003). 14Al-Hayat Al-Jadida, (June 18, 2002). 15Jerusalem Post, (December 25, 2003). 16Jerusalem Post, (March 15, 2004, May 25, 2005). 17Associated Press, (March 1, 2004). 19London Daily Telegraph, (March 15, 2004). 20“Blackmailing Young Women into Suicide Terrorism,” Israeli Foreign Ministry, (February 12, 2003). 22Khaled Abu Toameh, “PA arrests academic voicing criticism,” Jerusalem Post, (July 4, 2005). 23Country Reports on Human Rights Practices - 2002, The State Department, March 31, 2003; B’tselem, Amnesty International, January-December 2002; Jerusalem Post, (August 25, 2002). 24Mohammed Daraghmeh, “Palestinian Vigilante Killings on the Rise,” APAssociated Press, (October 6, 2005). 25Near East Report, (March 5, 2001). 26Almazen [Kuwait], (June 20, 2002). 27Jerusalem Report, (February 25, 2002); ; Ma’arivMaariv, (July 31, 2002); Israeli Foreign Ministry, Washington Post, (April 2, 2004). .28Jewish Telegraphic Agency, (October 8, 2001). 29Pearl Sheffy Gefen, “Irshad Manji, Muslim Refusenik,” Lifestyles Magazine, (Summer 2004), p. 29. 30CNN, Israel Defense Forces, Jerusalem Post, (November 28, 2000); Jewish Telegraphic Agency, (March 21, 2002). 31 James Fallows, “Who Shot Mohammed al-Dura?” The Atlantic Monthly, (June 2003). 32Eva Cahen, “French TV Sticks by Story That Fueled Palestinian Intifada,” CNSNews.com, (February 15, 2005). 33News Conference, (September 12, 2001). 34Briefing by Major General Giora Eiland, Head of the IDF Operation Branch, to the Foreign Press Association, Jerusalem, (May 20, 2001). 35State Department Briefing, (April 17, 2001). 37Collin Powell, My American Journey, (NY: Random House, 1995), p. 434. 38Washington Post, (June 28, 1993). 40Hirsh Goodman, “A Lesson Learned,” Jerusalem Report, (September 19, 2005). 41Washington Post, (September 14 and 18, 2001). 43RonaldReagan.com, Washington Post and other news sources. 44Jewish Telegraphic Agency, (August 30, 2001). 45Jerusalem Post, (August 10, 2001). 46Jewish Telegraphic Agency, (November 30, 2001). 47Amos Yadlin, “Updating the Concept of War: The Ethics of Fighting Terrorism,” The Review, (January 2005), p. 27. 48Near East Report, Year End Reports, (1991-1993). 49Michael Oren, “Palestinians Cheer Carnage,” Wall Street Journal, (August 7, 2002). 50Jerusalem Post, (April 25, 2002). 51Jerusalem Post, (April 28, 2002); Forward, (June 28, 2002); MSNBC, (July 31, 2002). 52New York Post, (May 3, 2002). 53 NEED FOOTNOTE Christian Lowe and Barbara Opall-Rome, “Israel Air Force Seeks Expanded Anti-Terror Role,” Defense News, (March 28, 2005). 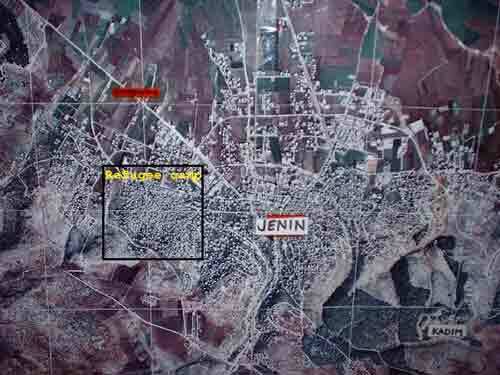 ; 54“Anatomy of Anti-Israel Incitement: Jenin, World Opinion and the Massacre That Wasn’t,” Anti-Defamation League, 2002 [http://www.adl.org/Israel/jenin/default.asp]. 55Jerusalem Report, (December 30, 2002). 56Christian Science Monitor, (April 2, 2003). 58Jerusalem Post, (June 26, 2003). 59Washington Post, (March 17, 2003). 59aCynthia Ozick, “Martyr (A review of My Name is Rachel Corrie: Taken From the Writings of Rachel Corrie)”, The New Republic, (December 7, 2006). 60Jerusalem Post, (August 4, 2004). 61Khaled Abu Toameh, “Kaddoumi claims Israel poisoned Arafat,” Jerusalem Post, (March 30, 2005). 62Associated Press, (November 17, 2004). 63John Ward Anderson, “Conspiracy Theories Persist on Arafat’s Death, ” Washington Post, (November 18, 2004), p. A36.